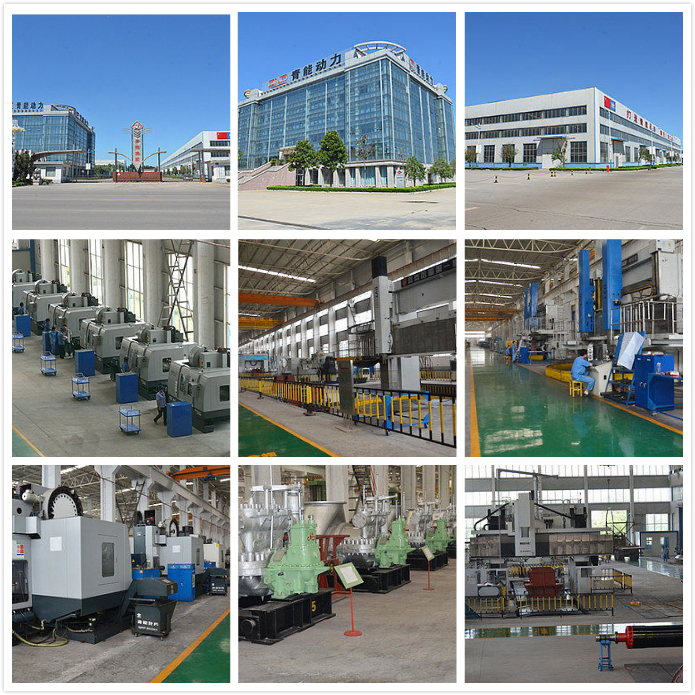 In-the-factory assembly and whole machine transportation make site installation easier, faster and more economical. Single-tier and direct exhaust, condenser floor installation, lower construction cost. Gland sealing matching: the industry-leading and advanced gland sealing structure design reduces the steam leakage loss. Blade assembling: the optimized blade molded lines are designed by the international advanced design software and processed by high-grade, high-precision and advanced technology which improve the thermal efficiency greatly. Governing system: advanced governing methods are used for high control precision and fast response speed and which also has the electronic over-speed trip function, load shedding trip function, as well as auto start, grid connection and on-load function. 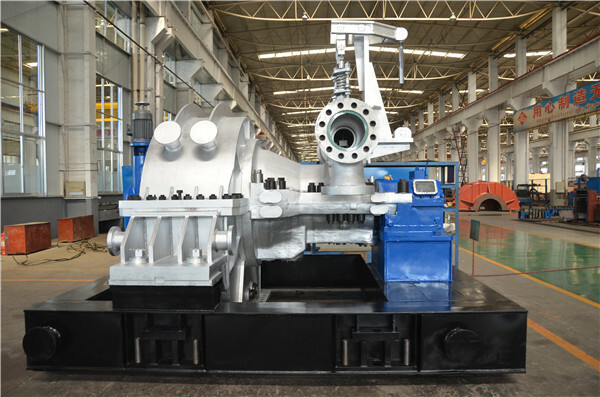 Rotor: we have shrink-on rotor and solid forging structure rotor which are all processed by Mitsubishi Planer machine and adjusted by vacuum high speed dynamic balancing machine to make sure the vibration of each position of bearing is in good state when the steam turbine running. Small vibration of the rotor we produced is a distinctive characteristic of our products. Condenser: the stainless steel screwed pipe is used as heat exchanger with good anti- pollution ability and high heat-exchange efficiency. 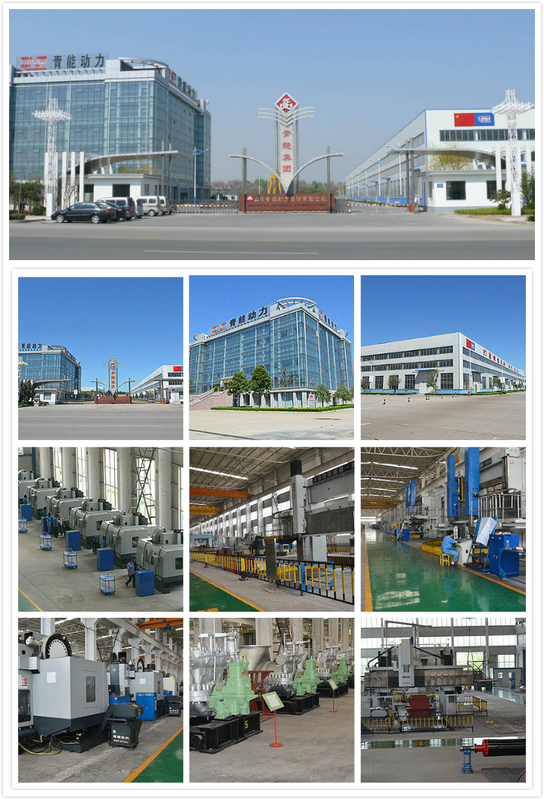 High-quality titanium tube is used when the cooling water is seawater. 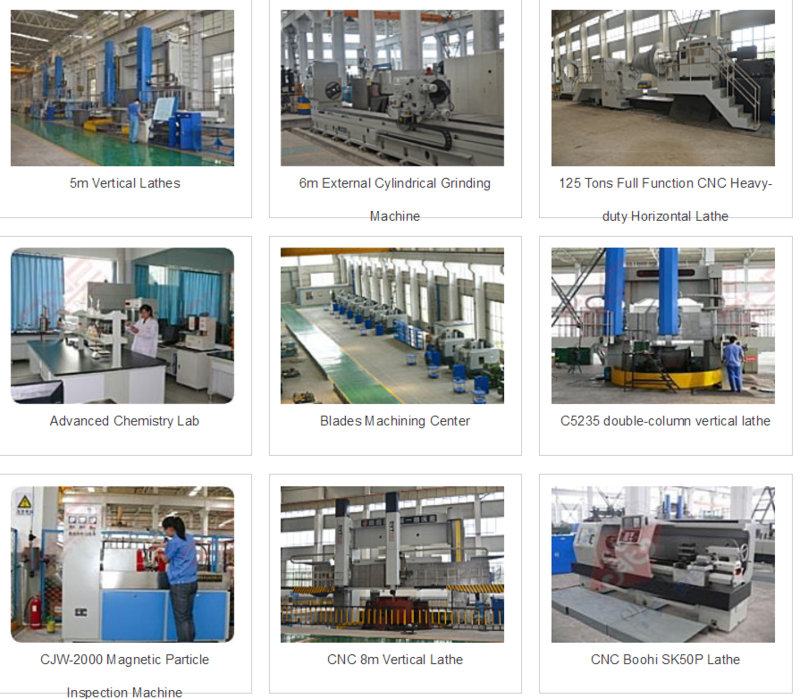 We use digital controlled lathe for drilling hole. Casing: the split is processed by one-off molding technology and the precision of which can be 0.0058MM without any steam leakage. The concentric circles of the whole axis are processed by high precision turn-milling of the 5-joint axis machining center. Diaphragm: we use qualitative carbon steel as the support and make the flow field better comply with the design via special welding technology so as to improve the internal efficiency. Lubricating oil system: the multiple filtration technology--impurity strainer of oil tank, double bucket strainer for refined filtration, bearing inlet strainer which can be replaced during running--make the turbine oil entering the bearing bush achieve the best performance. Control and protection system: QNP uses the Siemens microprocessor as the core of the system to ensure the stability and timeliness of signal processing. For important signal, multistage redundancy functions are introduced to ensure the safe and stable operation of equipment. Friendly interface makes operator work easily. More than 3-monthes` record of operating data can be saved by recording system and also can be extracted at any time. 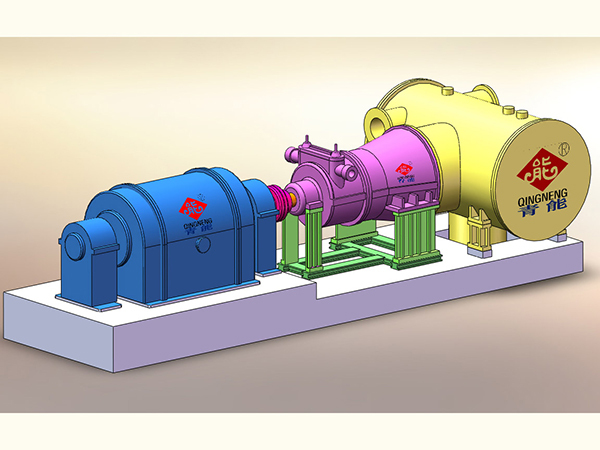 The position of oil tank for condensing steam turbine can be designed under the steam turbine as the base plate with the steam turbine, bearing pedestal and gear box on it which has same horizontal plane with condenser. Composed of steam turbine base plate, auxiliaries base plate, control base plate and centralized oil station for a convenient installation and layout at site. And the centralized pipeline will let the site more clean and tidy. 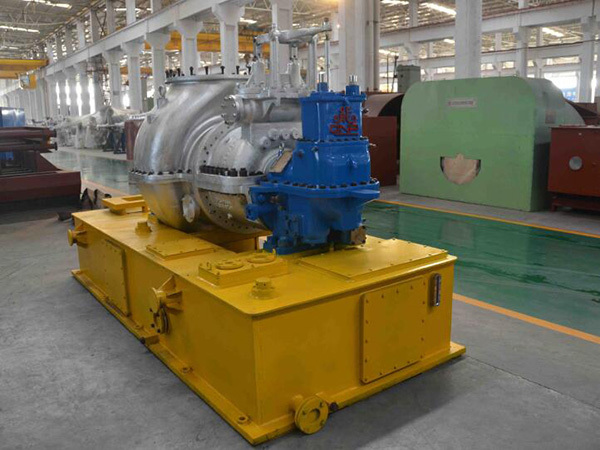 Mainly applied in 15-50MW condensing and pumping condensing high efficiency turbine. This type of steam turbine adopted single-tier arrangement, with axial exhaust directly into the condenser. Suitable for whole machine delivery, and can considerably shorten the installation period and reduce civil engineering costs. 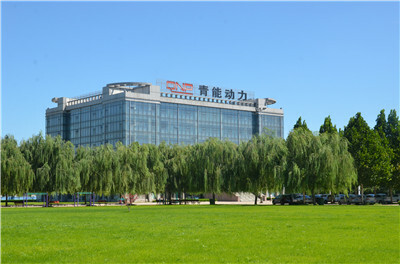 QNP has set up a training mechanism for senior managers with Tsing Hua University and Peking University, as well as technical trainings with Xi`an Jiaotong University, the Huazhong University of Science and Technology, and Shandong University in multiple fields. 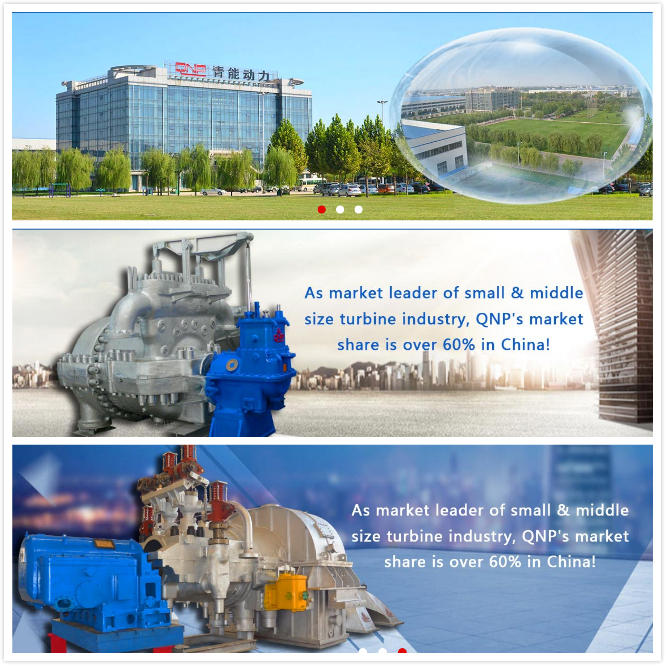 The rapid development of QNP has captured the attention of the Fortune Global 500 companies, such as the M AN Group from Germany, and Mitsubishi Heavy Industries from Japan. 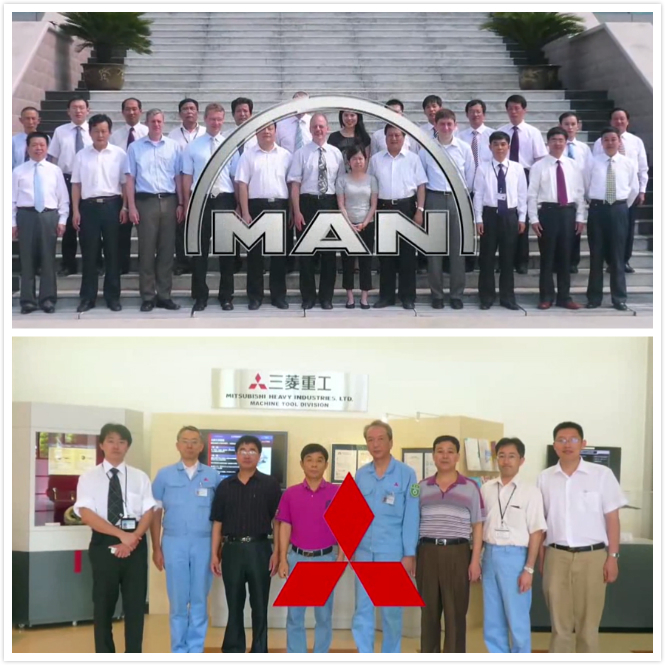 These companies and numerous Others have worked with QNP for technical exchanges. 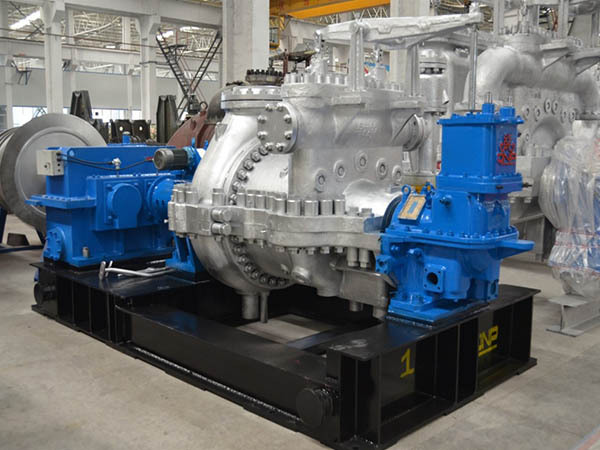 Located in the Qingzhou city of Shandong province, QNP(QingNeng Power)has developed into the largest leading private manufacturer of steam turbines and generators in China, covering an area of 200,000 square meters with building area of 90,000 square meters. 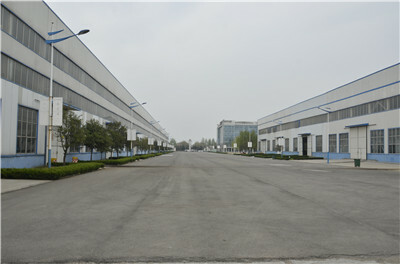 In addition, it has earned certificates of CE, API and ISO9000. The Generator product includes two pole 50 hertz Generators and four pole 60 hertz Generators. The highest voltage can reach up to thirteen point eight kilovolts, and the layout can be either single tier or double tiers. The Generators can be provided with either a Static Excitation System or a Brushless Excitation System as required by the Customer. The Electrical Control equipment consists of HV & LV switchgears, synchronization panels and a DC system, contributing to the integration of power generation, synchronization with grid and transmission of power. Our power design institute can provide complete project solutions for customers from design, construction, procurement, and installation to commissioning of the power plant, shortening the project period and reducing the project cost for our customers. QNP is collaborating with world class suppliers of Gas Turbines to introduce advanced Gas Turbine technology, promoting Combined Cycle Power Projects with higher Plant efficiency. QNP regards continuous learning ability as one of the company`s core competitiveness and provides regular training to employees to enhance their comprehensive abilities and skills. The structure of our management is the basic solution for our development. The Basic Law of QNP and other related regulations have been established to change the management style from [rule of man" to [rule of law". This has laid a solid foundation for further development of QNP. Reviving national industry is our task. 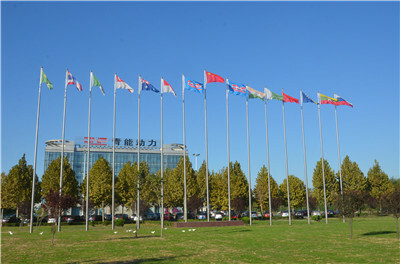 Becoming a first-class power equipment manufacturer of the Global economy and energy conservation is our objective. Passion is the endless source of creation! 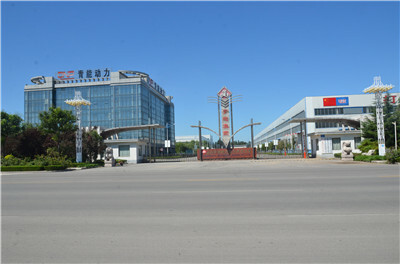 Company Name: Shandong Qingneng Power Co., Ltd.